The month of October has been a somewhat traveling month for me. It almost like one after another. The one-week long company trip was fun and loaded with tons of good food, or I would say seafood galore kind of meals, for almost every day. It was crazy and it kinda made my skin turned cray-cray too! Having menses the following week wasn't helping at all. It got worst and thankfully, I had a week of rest before another week long of Korea trip. Right after my last day of my menses, I went to Sliq Clinic to try out one of their signature treatment - Fire & Ice Facial Treatment. 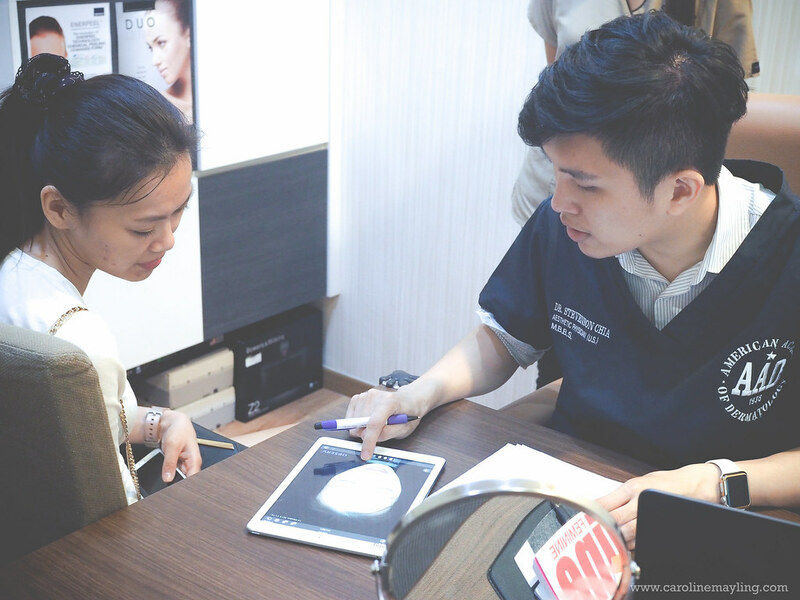 It wasn't my first time visit Sliq Clinic, you can read my experience on their treatment when I was having the worst breakout in my entire life. Of course, it's best to make an appointment in order to avoid disappointment. 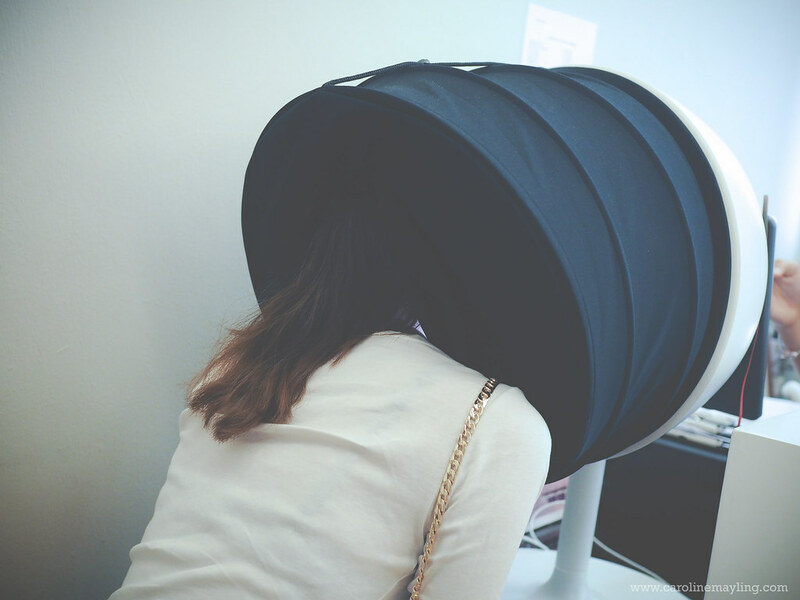 Upon arriving, I was greeted by friendly staffs and then I was asked to place my face on this camera thingy. I was first thought it's just meant to take a clearer picture of my current skin condition before meeting Dr. Steve for the consultation prior the treatment. 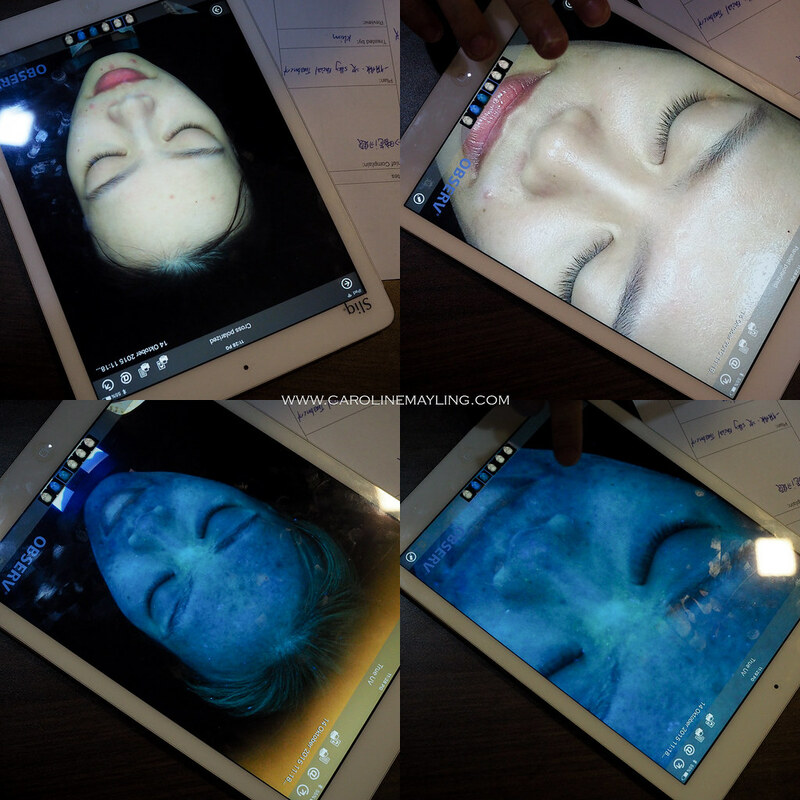 To my horror, I was presented with every single image of my face with all the details of the skin condition shown and stated in the iPad. It was so freaking scary to see how it can capture every little thing happening on my skin; what are the level of pigmentation and uneven skin that am having now; how it will look like in the next few years if I don't start taking care of my skin, etc. It may look super scary, but I was assured by Dr. Steve that my skin is still in a not-bad condition compare to people who really never take care of their skin, at all. Though my skin wasn't as bad as how it looks like previously, I do have breakouts going on due to seafood overdose and menses. 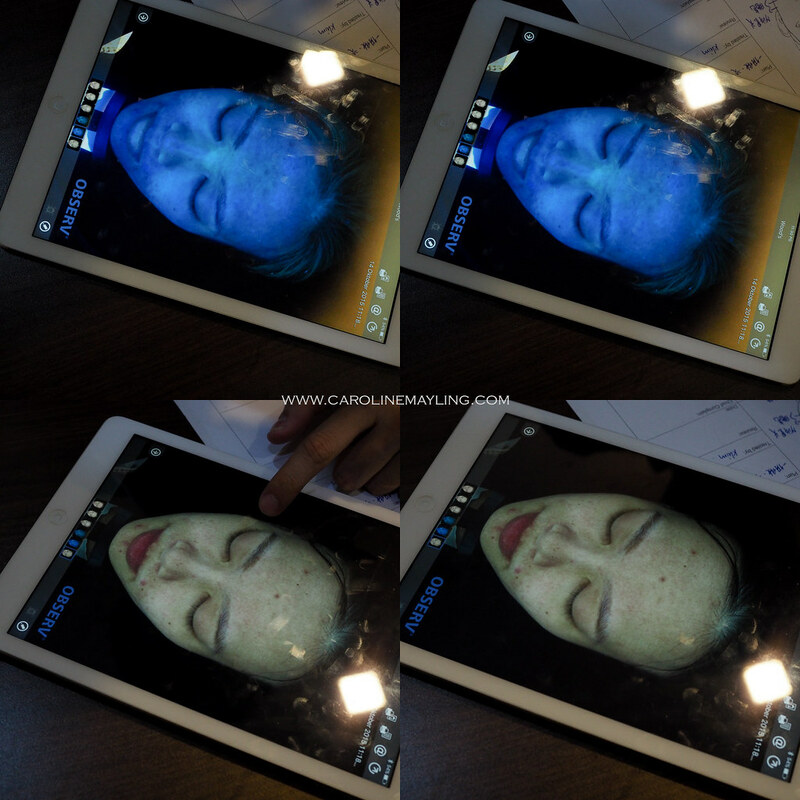 Dr. Steve then suggested me to try out their Fire & Ice Facial which is suitable to my skin condition at that time. Fire & Ice Facial Treatment also known as Innovative Treatment known as an intensive clinical treatment that designed to rapidly and safely resurface the skin, reducing fine lines and wrinkles while smoothing, softening and encouraging cellular renewal. It is excellent for all skin types and ages, this facial results in a complexion that is dramatically refined, with no downtime, peeling or other negative side effects. It also uses entire iS Clinical product range that I swear by! 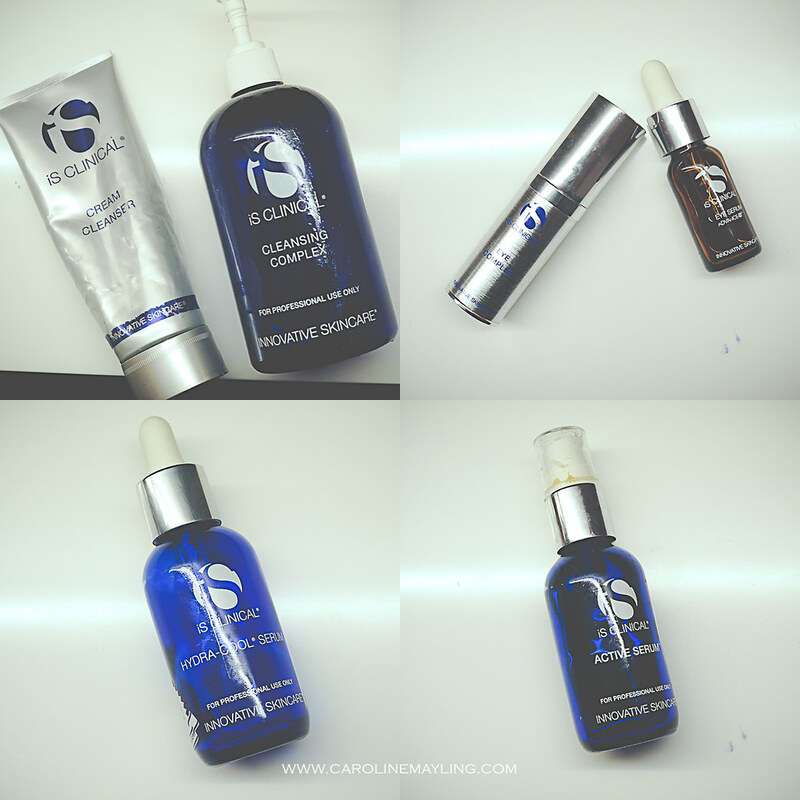 I've been using their serums daily, both Hydra-cool Serum and Active Serum to control my acne-prone skin and it has been working like magic in controlling my breakouts. p.s If you haven't heard of it yet, this is also the most popular treatment that Hollywood celebrities opted for as one of their carpet-ready beauty essential! The entire treatment only took approximately 45-min and just when I thought it going to be a scary one, especially with the term Fire & Ice on its name, it was actually a pleasant session. She first cleanse my face and begin applying the "fire & ice" masque. Please do not worry as they actually will ask how do you feel when they start applying the Intensive Resurfacing Masque (fire) on your skin. She asked me if there're any itchiness or tinglings/hot sensation and this mask can't stay on longer than five minutes before she proceeds with removing it from my face and proceed to the next one. It didn't give me much of the tingling sensation, probably due to the acne only on certain spots. It was then followed by the Rejuvenating Masque (ice) step. I really enjoyed the cooling sensation from the rejuvenating masque! This is a rejuvenating mask with skin-plumping hyaluronic acid alongside herbal antioxidants and soothing aloe vera and green tea. I love the minty scent of it! So how does it works actually? 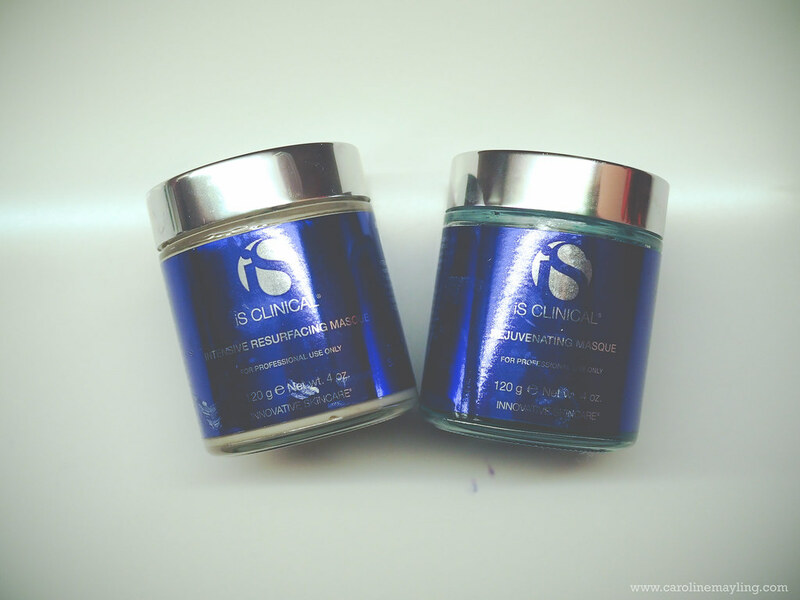 The Intensive Resurfacing Masque applied earlier allows a mild peel using 18% of gylcolic acid with vitamins A and B with warm cinnamon, and retinol to remove the top layer of the epidermis and it loosens the cellular cement, it then creates superficial trauma to the skin to boost collagen production. And of course, the Rejuvenating Masque was applied to neutralize the skin. 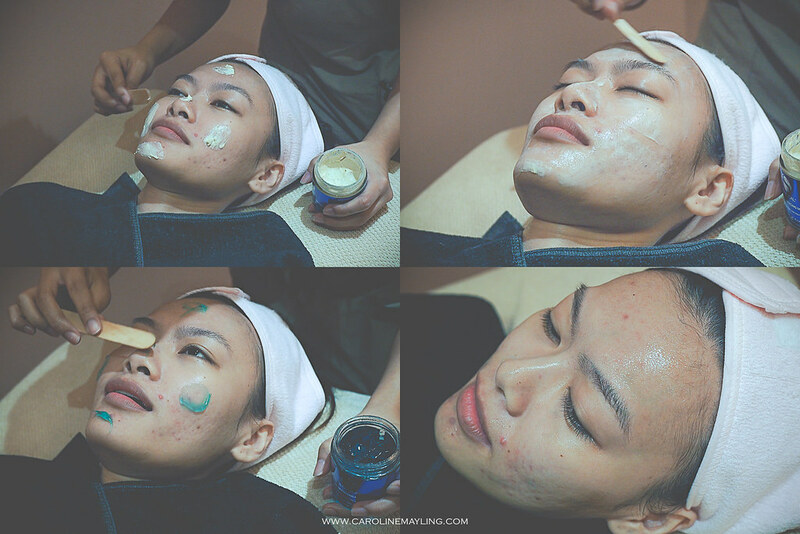 And unlike the ordinary facial treatments in the beauty salon, this facial treatment doesn't require extraction step, which is awesome for those who doesn't enjoy the pain like me. What makes it really difference from other facials that might improve the appearance of the skin's texture, Fire and Ice Facial Treatment changes the skin at the cellular level. Even though there's no extraction step in the facial treatment, I was really surprised how my acnes dried out and recovered super well in just a few days after the treatment. You may not able to see the drastic difference in terms of acne condition on my face on before and after images above, and although they were taken under different lightings, there might be slight redness after the treatment but it will be gone in an hour or less, depending on your skin condition. The next best thing happened was, I get to enjoy my entire Korea trip with a better skin condition, not to mentioned about the joy of able to apply makeup on my face! Sliq Clinic is having a special package for the month of November, you can text or call them at 017-277 5580 for an appointment to try out this amazing innovative treatment now! It looks like a good facial treatment. How much per treatment? sounds like very helpful to girls, especially you will be handled by professional. will check out the clinic! really effective!! look great after this . Takutnya nak tengok muka sendiri under the camera thingy. And yes, your skin looks better in the after pictures. How much is it? Looks pretty effective on you. The before and after looks much different.